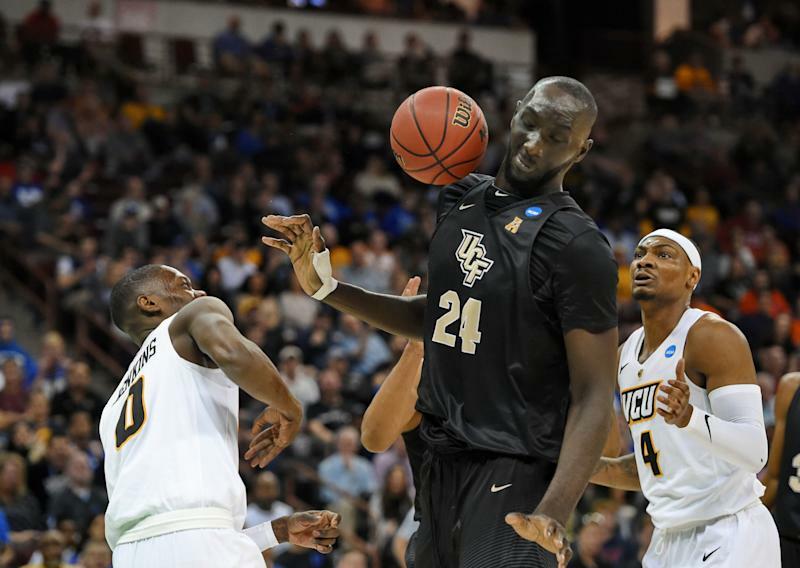 Tacko Fall: Who is UCF's 7-foot-6 mountain? Tacko Fall is the talk (Tack?) of the NCAA tournament. On Sunday, he is in theory the Kryptonite to Zion Williamson’s Superman. 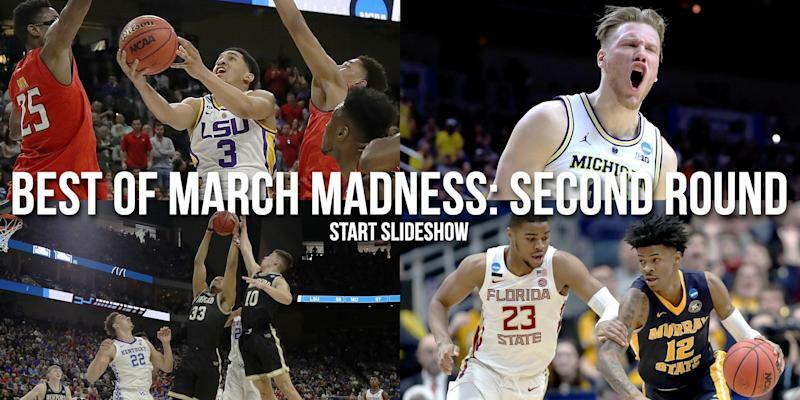 The alluring contrast between 6-foot-7 high-flyer and 7-foot-6 high-stander has made Fall the subject of both prop bets and intrigued basketball analysis. So who is UCF’s senior big man – er, enormous man? He’s one of the absolute best stories in college basketball. What is Tacko Fall’s backstory? That left Fall bereft of not only a place to go, but the I-20 certificate of eligibility he needed to stay and study in the U.S. He would have to reapply, which would take months. He spent a short time with his dad, who is a taxi driver in Cincinnati. He tried another school in Georgia and still another in Tennessee, but again the paperwork was an obstacle. He spent most of 2013 as an academic nomad. He eventually found a home at Liberty Christian Prep in Florida, living with a host family he’d never met before. And yes, even then, he was already giant. He is a very legitimate 7-foot-6. Heck, he was already 7-foot-6 in high school. Now he’s up to 310 pounds, with a wingspan somewhere between 8-foot and 8-foot-4. He reportedly has a 10-foot-5 standing reach. So, yes, he’s a large human being. He’s pretty good. It depends on how he’s used, what style his team plays, and how opponents go at him. Fall isn’t a stiff. But he’s not exactly mobile or athletic, either. In college, with no defensive three-second rule, as long as he’s not drawn away from the basket by a stretch-five or asked to play up on ball screens, he’s a massive defensive presence – literally. But, naturally, he can’t keep up in transition, and can be a liability if an opponent moves him around by moving the ball. On the offensive end, he’s developed a decent feel. He can, obviously, shoot over anybody in the post, and he knows when he has deep enough position to do so. But he doesn’t pass out of doubles well enough, and turns the ball over far too often, to be a dominant offensive player. What are his most insane stats? Fall shoots 75 percent from the floor – the best field goal percentage in all of Division I. He held the top spot as a freshman as well, and ranked in the top five as a sophomore. (He lost months to injury as a junior, so didn’t qualify.) He’s going to break a 38-year-old D-I record for career field goal percentage by more than six(!) percentage points. Meanwhile, he blocks more than one of every nine shots an opponent takes when he’s on the floor. It’s the 14th-best block rate in the country. Fall ranked 13th as a sophomore and third as a freshman. And the only reason he does block more? Opponents are so damn scared of him. Has Tacko Fall been dunked on before? Ahead of Sunday’s Duke-UCF matchup, you can gamble real money on whether Fall will get posterized by Zion Williamson. The good news for Zion? Tacko’s been dunked on before. Want to watch Tacko dominate 5-foot-something dudes? Fall played AAU ball with future NBAers Ben Simmons and Antonio Blakeney. But he also met his fair share of Joe Schmos on the circuit, and ... well, the size disparities were priceless. What was it like to watch teenage Tacko dunk on high schoolers? Can Tacko Fall touch rim without jumping? Hell yeah he can. Could in high school, too. Can he dunk without jumping? Can he block shots with his elbows? Smitty with the finger roll and Tacko Swat on the other end! Can he shoot free throws? Uh ... no. 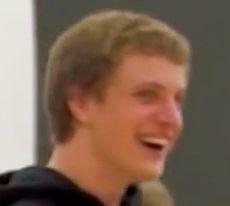 He’s 36 percent from the line. And, well, it’s easy to see why. Is Tacko Fall the tallest player in college basketball? Yup. Heck, he’s one of the tallest 50 people on earth. Has he ever played against somebody his size? Yes. In the second game of his college career, Fall took on UC Irvine’s Mamadou N’Diaye – also from Senegal, also 7-foot-6. Fall had just six points on 3-of-9 shooting in 27 minutes. But he held N’Diaye to five points. How small does a basketball look in Tacko’s hands? Does he come from a family of giants? No. He does have an uncle who’s around 6-foot-8, and his grandmother would tell him that her grandfather was really tall. But his mother is 5-foot-9, his father 6-foot, and neither his brother nor half-sister is particularly tall. Can he sleep on a normal bed? Of course not. In high school, his host family had to give him a second mattress. No word on what his current sleeping arrangement is. Is Tacko taller than some players on his knees? How is his name, Tacko, pronounced? Just like the Mexican food, taco. “TAH-coe.” And yes, over the years, it’s been misspelled “Taco” by various people as well. Is Tacko Fall his real name? It’s not his full name, but yep, it’s real. His full name is Elhadji Tacko Sereigne Diop Fall. Does Tacko Fall have the best spoonerism in college basketball? Maybe not the best. But Facko Tall is certainly the most apt. Does Fall have an NBA future? Probably not. He wasn’t a top-100 recruit coming out of high school, and four years later he isn’t among ESPN’s top 100 draft prospects. 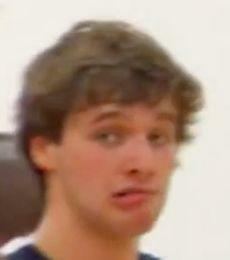 He’s not in nbadraft.net’s top 100 or CBS Sports’ top 75. He likely isn’t mobile enough to survive in the modern NBA. But he’s improved enough as a player over his four years at UCF that he’ll absolutely be able to play a decade of pro ball overseas if he wants to. Or, perhaps, he has non-basketball aspirations. He’s a 4.0 student, a computer science major, a future engineer. He’s super smart, and by all accounts a great young man. He’ll have some kind of future, no matter what field it’s in. What was the greatest moment of his college career? Perhaps it’s yet to come. Duke and UCF tip off at 5:15 ET Sunday. But it’s going to be tough to top senior night, when Fall reunited with his mother for the first time in seven years. Tacko Fall hadn't seen his mother in 7 years. For senior night, she came all the way from Senegal to watch her son play for the first time! The Knights upset Cincinnati. Students stormed the court. Fall held his brother up in the air amid the pandemonium. Then he sat beside his mother at his postgame news conference. So even if Tacko Fall can’t halt Zion’s charge to the Final Four, his journey to and through his college career has been a pretty special one.